One major aspect of a quality ultrasound or sonography program is hands-on learning opportunities allowing you to experience clinical work in real-world settings. Look at how many ultrasound technician internships/clinical placements the program offers. Some programs offer additional clinical education courses that allow you to practice in school labs and healthcare facilities before your placement. As part of practically every ultrasound formal education program, there are one or more clinical internships that students must complete. There are several benefits to completing ultrasound technician internships while pursuing your degree. First, it will give you the chance to put all of the theory you have been learning into practice and what better way than to work side by side with an experience diagnostic medical sonographer/ultrasound technician. Second, in order to receive ultrasound certification through the ARDMS (American Registry for Diagnostic Medical Sonography) you are required to have clinical experience. Finally, completing ultrasound internships in several settings and specialties will allow you to figure out which area of sonography you are most interested in and also allow you to potentially interact with future employers. Most sonograpy schools will arrange diagnostic medical sonography internships for each of their students; some institutions may allow students to select their own placement subject to approval. Students may complete their clinical practicum in a hospital, outpatient facility, physician’s office, medical laboratory or other location. Some schools offer three or four ultrasound technician internships spaced throughout the program, giving the students the chance to work in various settings, while others offer an entire ultrasound internship year. Students will complete relevant course and lab work before commencing their clinical rotations. The number of clinical hours for ultrasound technician internships depends on whether students are completing a certificate, Associates or Bachelors degree program. Generally a total of 960 clinical hours (or the equivalent of working six months full time) is the minimum required. Four year degree programs will require longer diagnostic medical sonography internships (i.e. an entire year). Depending on the ultrasound program, you may be interning at a clinical setting full or part time. 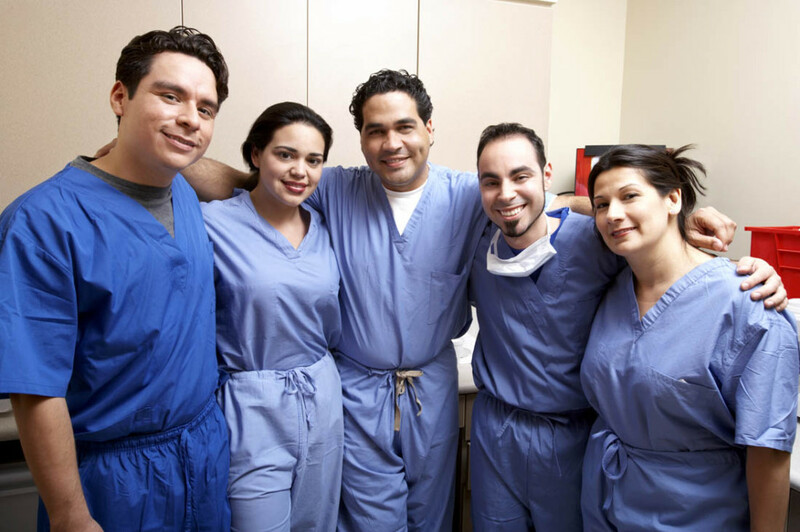 Throughout your ultrasound technician internships you will generally be evaluated by the clinical coordinator from your institution and also your supervisor at the facility you are interning at. Knowledge of clinical facility’s administrative procedures (i.e. the chain of command and the role of each member of the healthcare team). Patient care, including explaining the procedure, answering questions, recording medical history, updating patient files and scheduling appointments. Interpreting ultrasound results and possessing a sound knowledge of anatomy and pathology related to the ultrasound specialty. Correlating patient history with ultrasound results. Note that competencies will vary across clinical settings and specialties. It is important that you take advantage of the valuable experiences your ultrasound technician internships will provide. The clinical rotations will give you the confidence and experience you need to enter the workforce after graduation. Learn as much as you can from the ultrasonographers you are working alongside. They were once in your shoes and can give you insight on how to be successful as you pursue your ultrasound career.